Our host Mr Putzi was very cooperative. He went out of the way to help us. Der Ausblick. Ein TRAU über Villach zu schauen. Das Haus ansich ist spitze. Es fehlt an nichts! Alles wie beschrieben, Gastgeber sehr freundlich und entgegenkommend! Die Unterkunft ist sehr gepflegt und super und modern ausgestattet! Sehr netter Gastgeber, Super-Villa, 1a-Empfang und Betreuung. Unsere 4 Motorräder durften wir in der Garage einschliessen und die beiden Fahrzeuge konnten problemlos auf dem abgeschlossenen Gelände parkiert werden. EINFACH TOP!!! Das Haus ist ein Traum für eine Ferienunterkunft. Die Ausstattung war noch besser, als es in der Beschreibung stand. Auch zusatzwünsche wurden umgehend und unproblematisch erfüllt. Die technische Ausstattung ist sehr hochwertig! Durch die Nähe zur Autobahn waren der Wörthersee und andere Bergseen schnell zu erreichen. 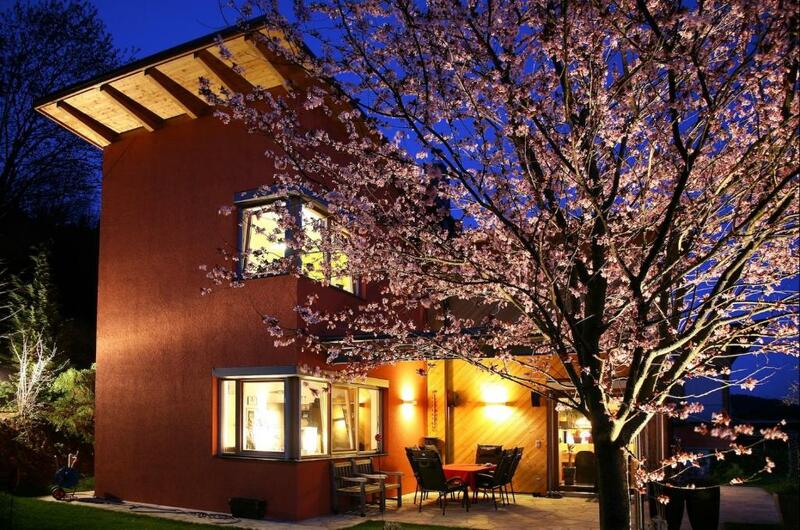 Lock in a great price for Ferienhaus Sun Valley – rated 9.7 by recent guests! One of our top picks in Villach – and a guest favorite. 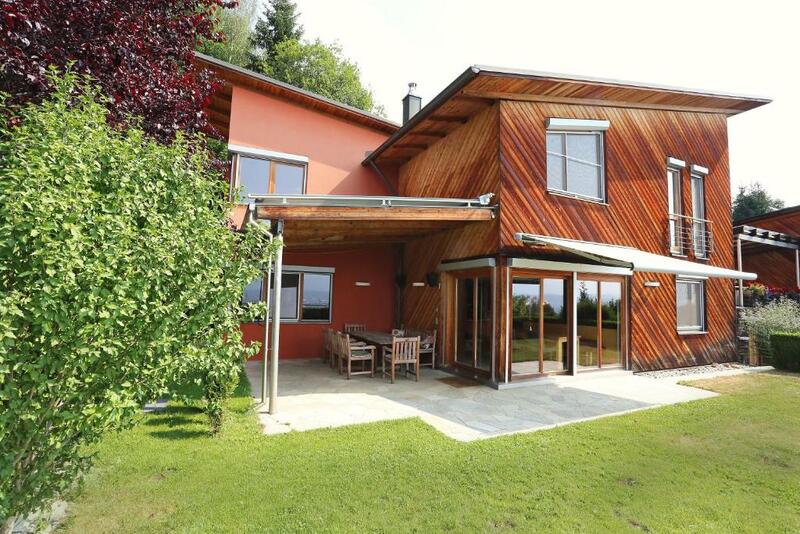 Ferienhaus Sun Valley, located on the outskirts of Villach, is a modern villa with a fireplace and a balcony with mountains views. Free Wi-Fi is provided in the entire building. Free private parking in a garage is possible on site. 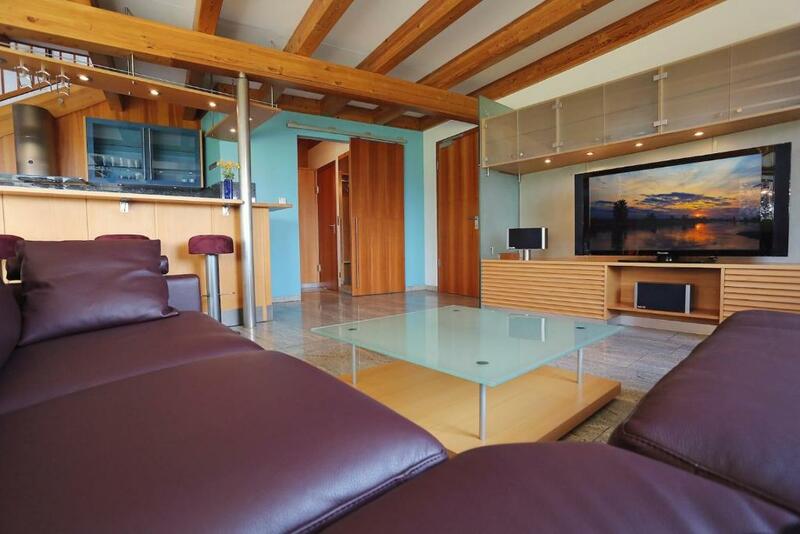 The air-conditioned villa with a private entrance is fully equipped with a seating area with a sofa, a flat-screen TV, a DVD player and a computer. 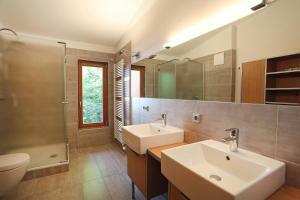 2 bathrooms come with a shower and a bath. 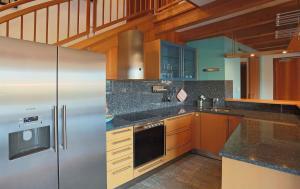 There is a modern kitchen with a dining area including a dishwasher as well as a washing machine. 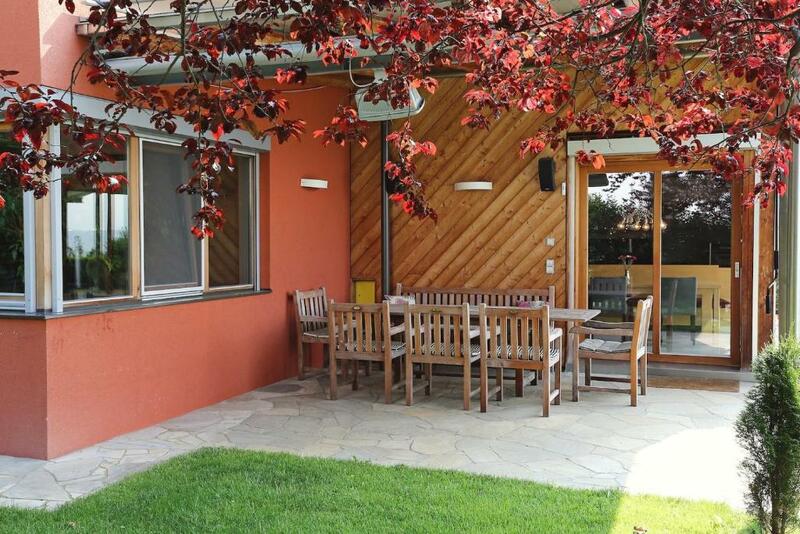 In summer, Ferienhaus Sun Valley serves as a starting point for numerous hiking and cycling tours. Swimming is possible in the lakes of Vassacher and Ossiacher, located 1.2 mi and 3.7 mi away respectively. In winter, skiing is available in the Gerlitzen Ski Resort, which is 15 minutes by car. The center of Villach is reachable within a 5-minute drive, where restaurants and shops as well as the Villach Train Station can be found. A bus stop is located 2,950 feet from the property. When would you like to stay at Ferienhaus Sun Valley? This spacious, air-conditioned villa with a private entrance includes 2 bathrooms, a kitchen, a living room, an office, a terrace and a balcony. It comes with a garden and a garage. The living room consists of a sofa, a flat-screen TV, a DVD player and a computer. 2 bathrooms come with a shower, a bath and 2 toilets. 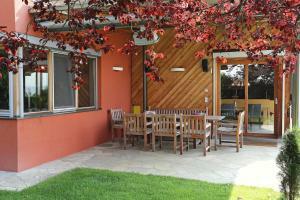 There is a fully equipped kitchen with a dining area including a dishwasher and a washing machine. This holiday home features a balcony, stovetop and toaster. 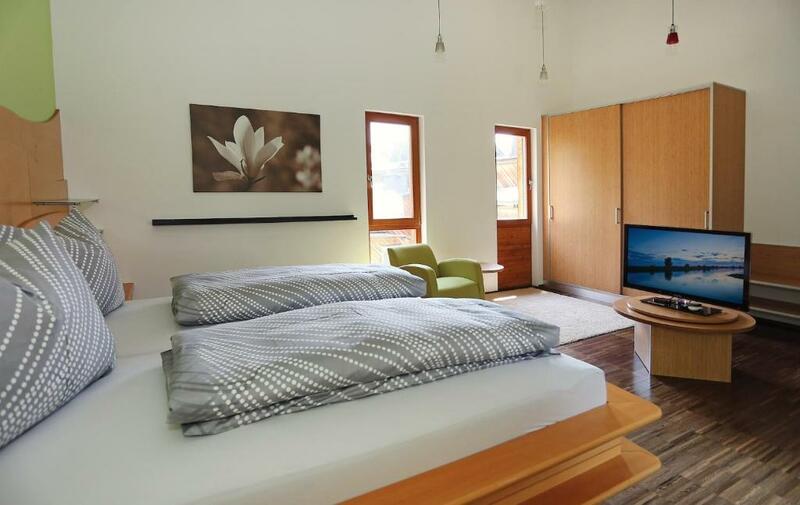 House Rules Ferienhaus Sun Valley takes special requests – add in the next step! Ferienhaus Sun Valley accepts these cards and reserves the right to temporarily hold an amount prior to arrival. A deposit via bank wire is required to secure your reservation. Ferienhaus Sun Valley will contact you with instructions after booking. Please inform Ferienhaus Sun Valley of your expected arrival time in advance. You can use the Special Requests box when booking, or contact the property directly using the contact details in your confirmation. The location little difficult to reach..